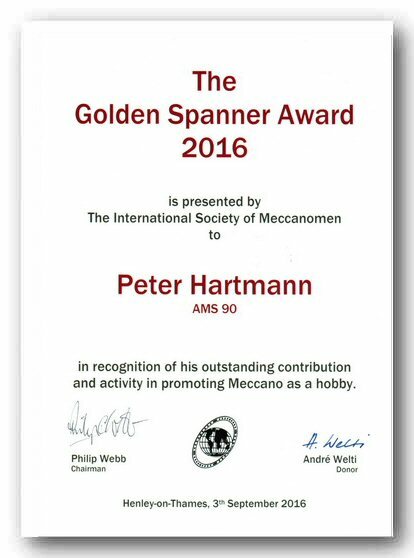 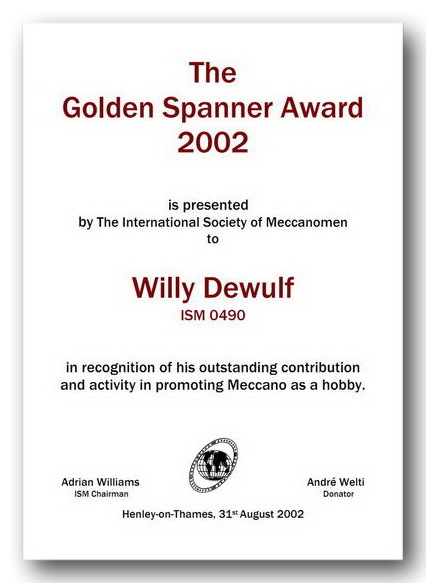 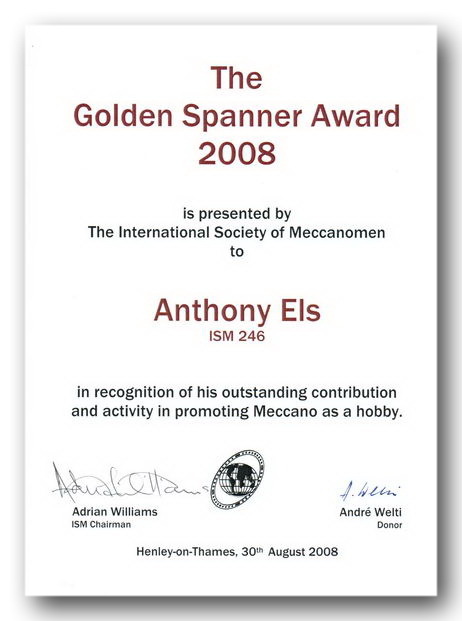 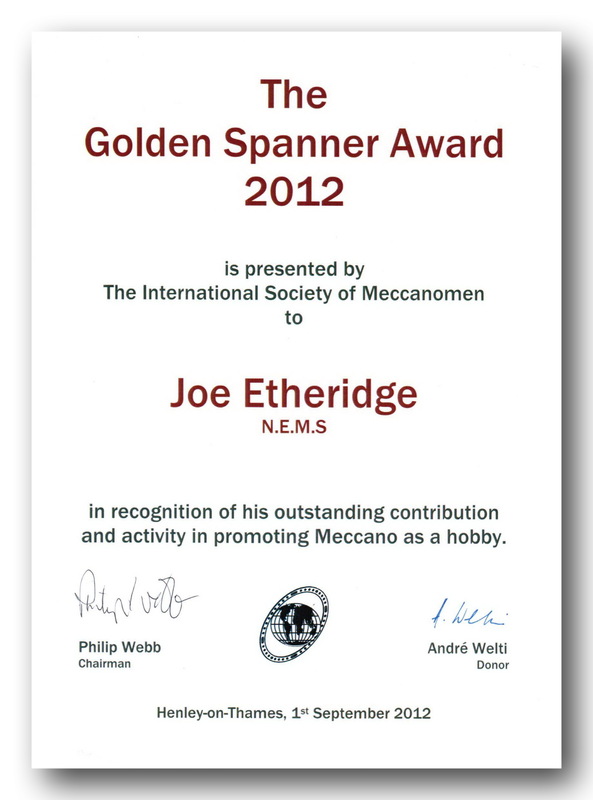 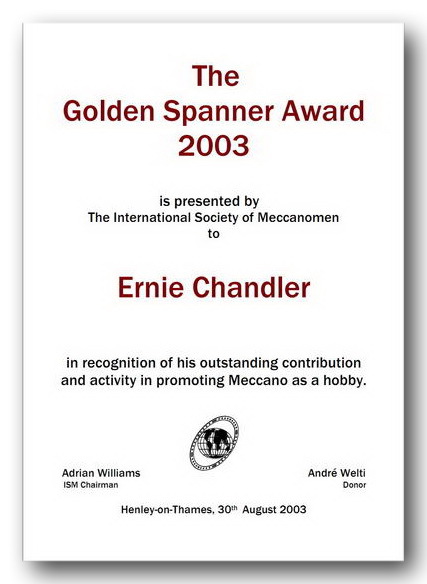 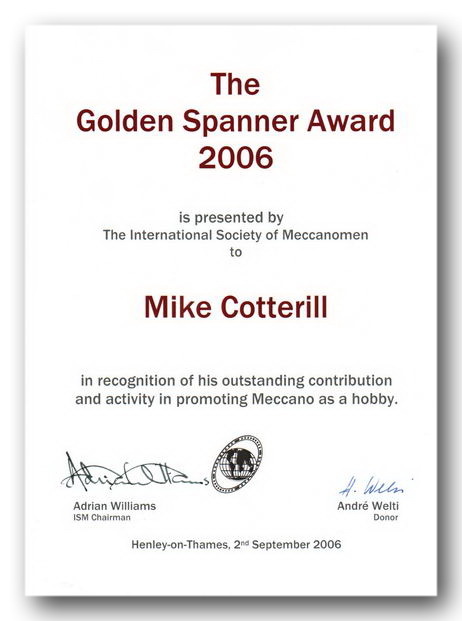 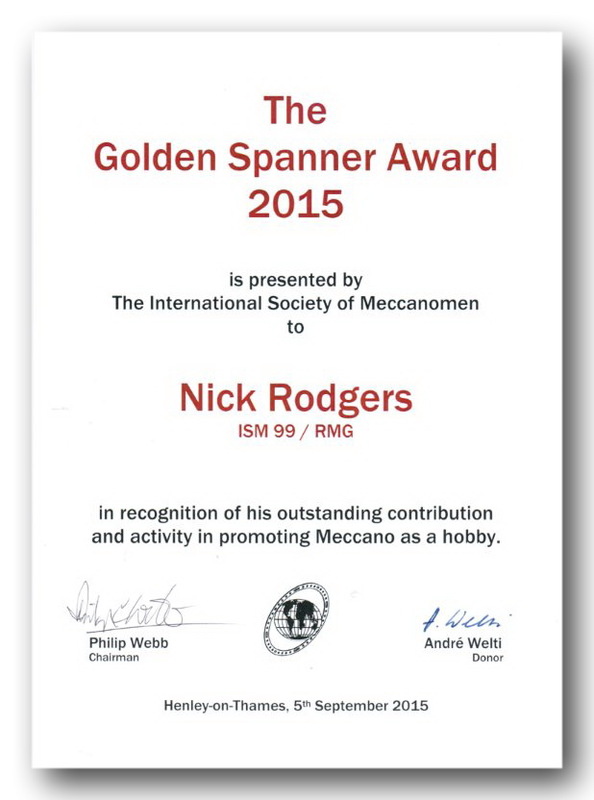 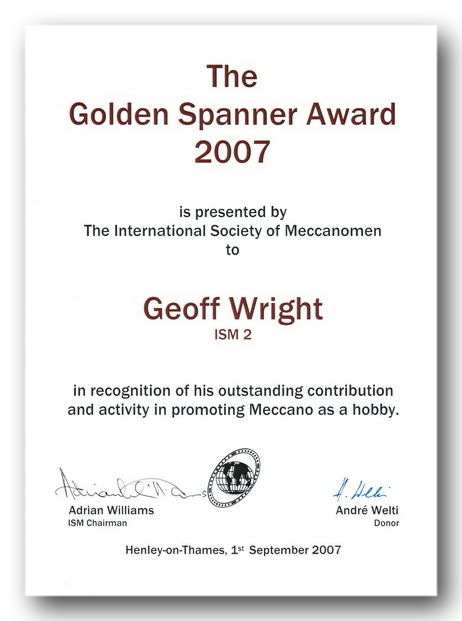 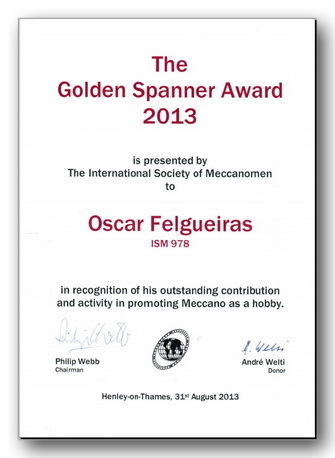 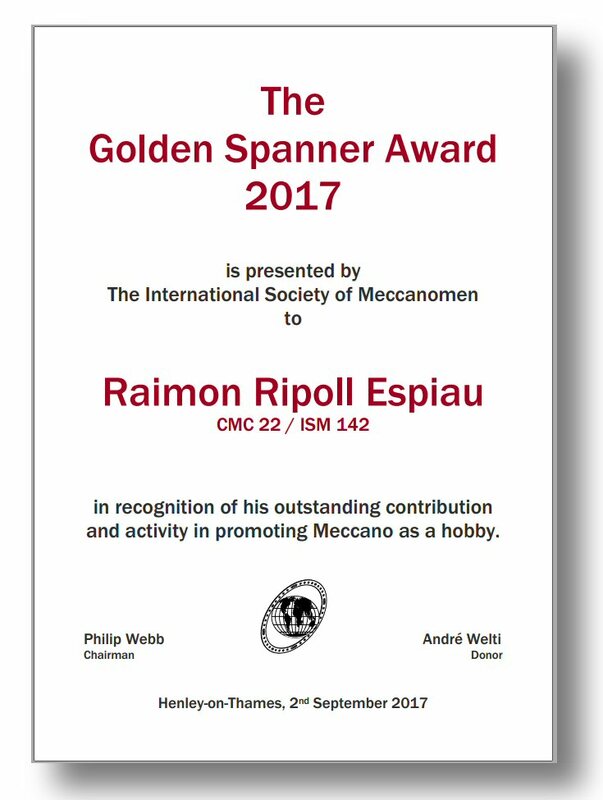 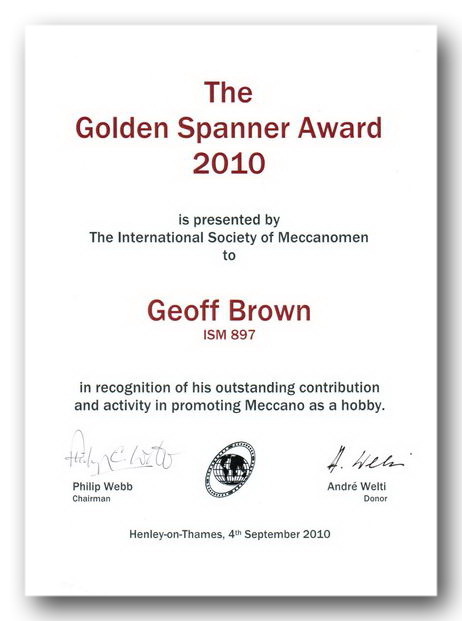 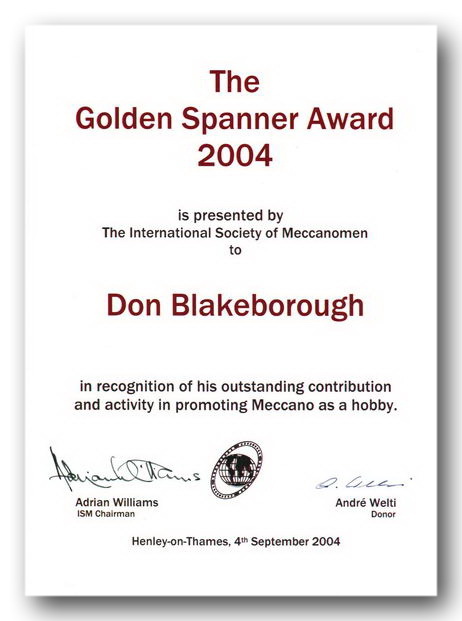 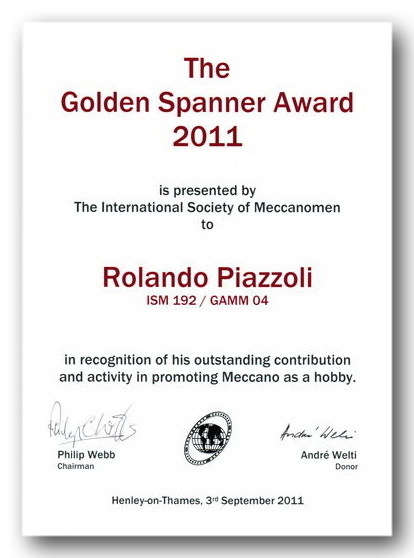 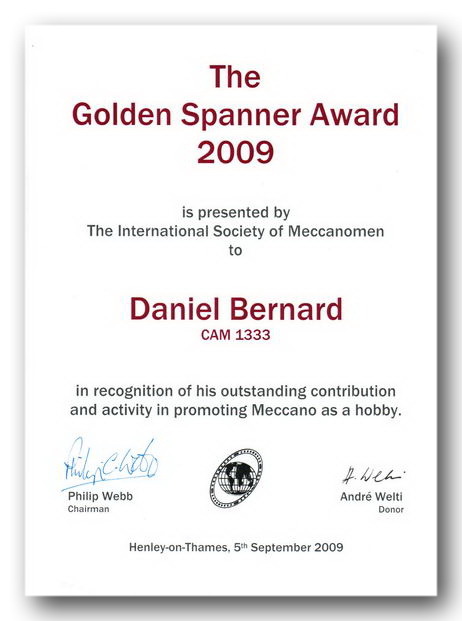 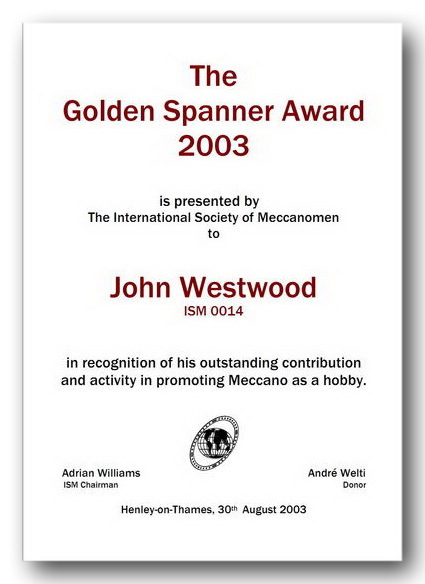 recognizing outstanding contributions and activity in promoting Meccano as a hobby, on a local or national or international level. 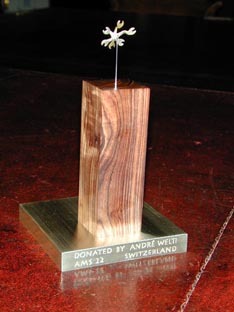 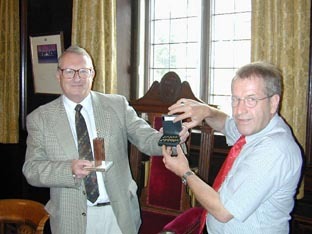 André has generously donated the award itself, which he commissioned from Swiss goldsmith Walter Mörgeli. 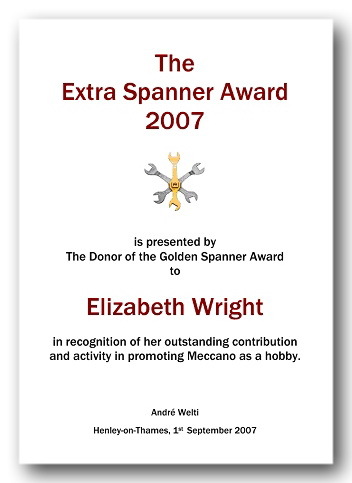 Each Award Laureate will receive a lapel badge in the form of a golden spanner as his or her permanent insignia. 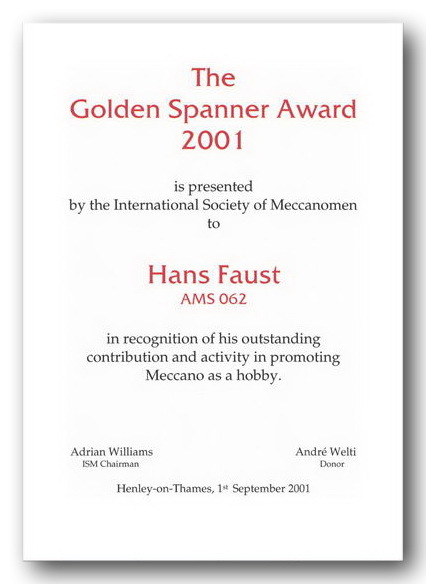 The Rules pertaining to the Award have been devised by an international working party set up and chaired by John Ince (Member 095) working with André and nine other members of the Society spanning seven countries and four continents. 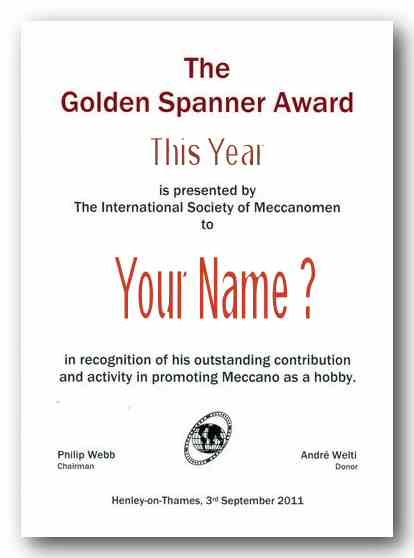 The Society is indebted to all the members mentioned above, and particularly to André Welti for his inspirational idea and the generous spirit in which he has donated the Award. 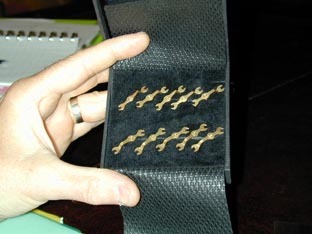 to arrive before the 1st of May of the current year.